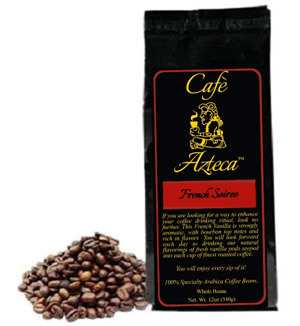 French Soiree is a classic blend of Shade Grown 100% Specialty Arabica Beans grown in the Highlands of Colombia, Peru and Honduras. Aromatic essences of Fruit combined with a hint of Spice make for a rich and robust taste sensation along with the rich natural flavor of decadent French Vanilla makes for a delicate and delicious treat all day and into the evening. 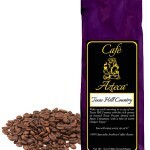 Medium Roasted to perfection for your enjoyment cup after delicious cup. Once opened, store in an airtight container and keep in a cool, dry place. Start with fresh, filtered or bottled water. 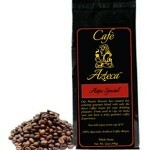 Measure 2 Tbs (10g) of ground cofee per each 6 fl oz (180ml) of water. Adjust strength by adding hot water.